Are you ready for a fast and easy way to secure vehicle financing for your next Honda? If you appreciate the Honda ride as much as we do here at Vatland Honda – “Your Dealer for the People” — then we know you’ll want to take your new or used Honda home as soon you can – that day if possible! We aim to make your car loan process quick and stress-free. Once you pick out the ideal vehicle for your needs from our extensive selection here at Vatland Honda, our friendly Finance Department is ready to help you secure approved financing. And, you can easily learn if you’re pre-approved before even stepping foot on our lot by filling out the secure online finance application on our Vatland Honda website. See how much it’s worth with our instant Value Your Trade estimator. The quick, simple finance application will let you know your qualification in minutes. Just bring this decision with you to our Finance Department, and, after you successfully pass a swift credit check, our Finance staff will guide you through your auto loan contract. We recognize that it’s not every day you read through agreements like this, so our team will thoroughly explain each portion, so you are certain of the terms and know what you are signing. By the time you’re ready to leave, you’ll know what your monthly payment will be, and its due date, as well as the fees and taxes you’re responsible for, the duration of the agreement, interest rate, and any other important information. Our aim is to make sure all terms are clear, so if any explanation is needed, our experts will be happy to offer a full clarification for you. 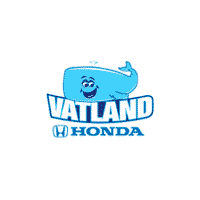 If you’re in Fort Pierce, Port St. Lucie, Sebastian, Fort Pierce, Fellsmere or Vero Beach and ready to get financed, head over to Vatland Honda, where there’s “Always a Whale of a Deal” — and let us assist you!